The joys of Spring are in full bloom as snowdrops, daffodils and bluebells pepper the landscape with colour and life. And rather helpfully, they provide a delightful colour palette for us to base one of our Spring looks on. As Spring approaches, we want to freshen up the feel and ambience of a room and bring in more light, more air and more cheer, so we’re really excited to see our much-loved, best-selling Oliver Bed in a fresh new colourway, Ocean Blue. 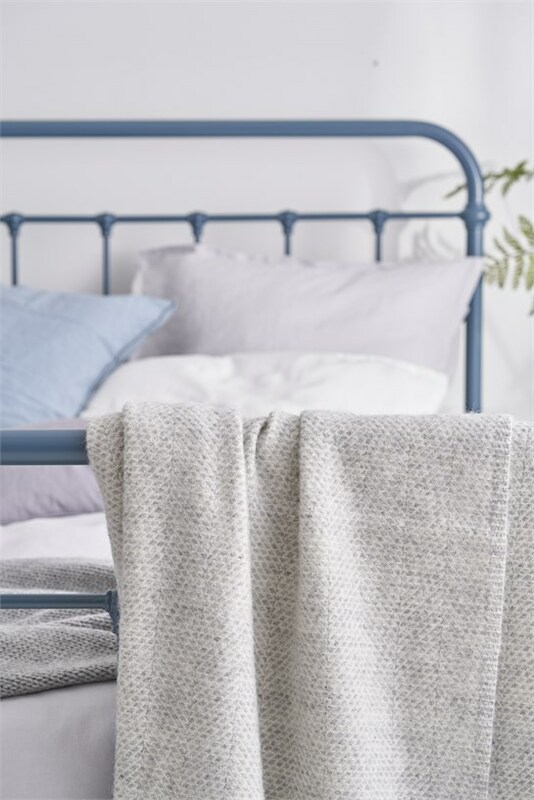 Traditionally, this colour is used as a warmer hue in the colder months so it’s great to see it used in a Spring look, and it works because the metal, dorm styling of the Oliver Bed keeps it light. So, keep in step with this Spring with the perfect accent colour and an ever-popular classic bed. We’re all for soft layers and delicate tonal colour, scattered dreamily across the bed. It’s laid back, fresh and effortlessly luxurious. 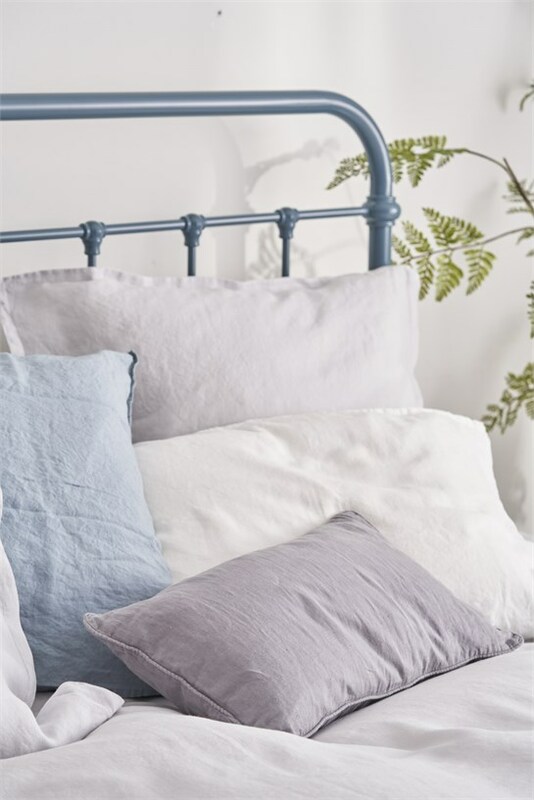 We’ve teamed Dove Grey Bed Linen with Ocean Blue and Pewter Linen Cushions to create a soft look and feel that resonates through all the bedding and marries perfectly with the bedstead. The mother of pearl button closures on the reverse of our cushions offer a subtle but ever-so-pretty detail. It’s a beautiful, uplifting colour palette bursting with the laid-back luxury of naturally relaxed linen. We love a throw. And believe us when we say that whatever the season, there’s always a throw that can be styled across your bed. They’re versatile and add instant elegance to your bed dressing. In fact, we love them so much, that we’ve got not one, but two on our bed here to continue our tonal layering - our Alpaca Grey Chunky Knit Throw across the duvet and our Beehive Grey Throw draped over the bedstead. There is still a bit of a nip in the air in Spring, so complete your Spring look with a warming, light-coloured throw.